I was sent a bottle of Burleighs gin to enjoy in the run up to Christmas. All opinions expressed about the gin in this post are my own! 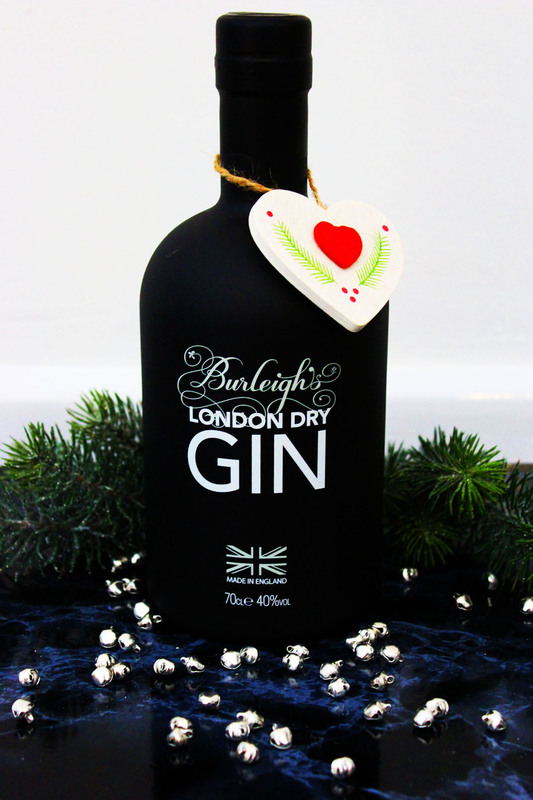 I thought Christmas had come early when the people over at Burleighs gin asked if I’d like to try a bottle in the run up to Christmas. The package tumbled down my chimney (/ the courier knocked on my door) and as soon as I’d unwrapped the box I knew I was going to enjoy this gift! Hidden away in the depths of Leicestershire’s Charnwood Forest (much like Santa’s workshop hidden away at the North Pole) lies Bawdon Lodge Farm, home to 45 West Distillery and Burleighs London Dry Gin. Burleighs Signature London Dry Gin, was inspired by a walk taken by master distiller Jamie Baxter through Burleigh Wood where he came across silver birch trees, dandelions, burdock, elderberries and iris’. He took these woodland flavours and used them to create an earthy, crisp gin unlike any other. There are 11 botanicals in total including those inspired by Jamie’s walk in the woods all those years ago. Crisp, fresh and vibrant with piney eucalyptus and bright citrus top notes. Dry juniper freshness followed by pine, citrus zest and eucalyptus. Earthy, spicy and floral notes in the background. After trying the gin in a simple gin and tonic, I was really inspired with the flavour of pine that comes through at each stage of tasting and so the idea behind the Christmas Pine Negroni was born! As much as I love the humble gin and tonic I also adore gin based cocktails. 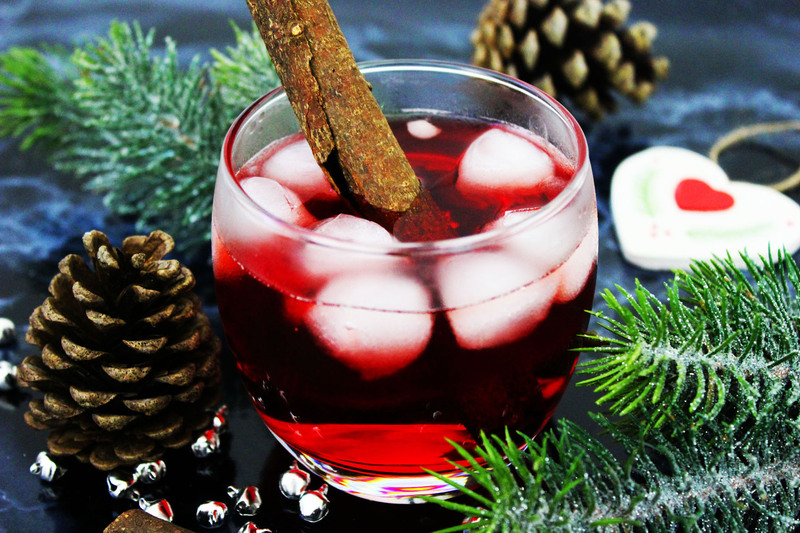 For this festive flavoured cocktail I was going to need some pine needles…so off to the Christmas tree store I went! Making a pine simple syrup is simple! Who’d have thought? Waste not want not is my motto and after seeing Kirsty Allsop make pine simple syrup from her Christmas tree a couple of years ago I’ve been obsessed with the idea of using my Christmas tree to infuse something other than the air in my house! This year I trimmed a branch or two off of my Christmas tree before decorating I then used the following simple recipe to make a pine flavoured simple syrup for use in my Christmas Pine Negroni. Now…just to make sure… we are talking about real Christmas trees here people, not those pine scented plastic ones you can get! Spruce or Douglas fir needles will probably work best and try to make sure you’ve not added any sort of chemical Christmas tree food to your tree stand water before you take the cuttings. If you’re in any doubt whether or not your tree is edible, make sure you speak to a gardener (or at least consult the internet first). I won’t be held responsible! Rinse 1 cup of pine needles, then finely chop (use a food processor to speed things up). Bring 150ml water, 2 tablespoons honey and a pinch of salt to a boil in a heavy bottomed saucepan. Whisk well to make sure it’s all combined then boil for 1 minute resisting the urge to stir. Remove from the heat, add the needles and let them steep for up to 3 hours. The negroni is a classic cocktail. First mixed by a bartender in Florence, Italy it is traditionally made of one part gin, one part vermouth rosso, and one part Campari then garnished with orange peel. It’s one of my favourite cocktails and I love sipping on one before, after or during a meal. I think the botanicals and flavours in the alcohol are already quite festive but the addition of the pine simple syrup and a clove or two really make this taste of Christmas. The botanicals in Burleighs gin in particular lend themselves to the bold flavours in this cocktail. We often go for frosty walks in the woods over Christmas. Too much rich food means a brisk walk through the woodlands is more than welcome throughout December and well into January. On particularly cold days I’d recommend popping this cocktail into your hip flask and having a sip or two as you enjoy the fresh pine air. 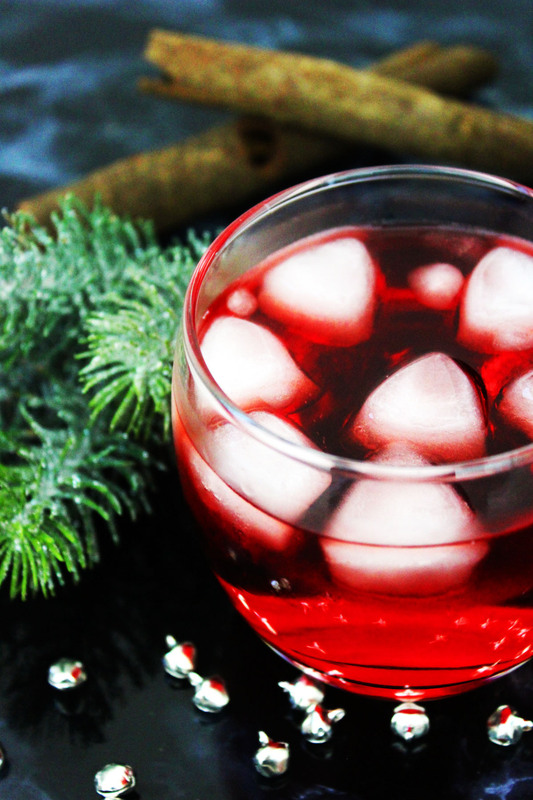 Add the spirit of Christmas to a negroni with a hint of pine simple syrup! Serve with 2 cloves and a cinnamon stick to stir (optional). Want to make this cocktail at home this winter? Then buy yourself a bottle of Burleigh’s! Use the code is SUPPER20 and get 20% off all bottles of Burleighs here. Now I know you were eyeing up that cute heart shaped tag! It’s an adorable tree decoration from DotComGiftShop and only costs £1! Bargain! Oh wow, I swer I can practically smell this cocktail! I’ve made a tea from pine needles before but never heard of them being used to make a syrup – love it! Hah i know what you mean Janie. Pine is such an evocative smell. Ive not heard of making pine tea before but would love to give it a try. Feel free to drop a link in the comments if you have one! I am absolutely loving the sound of this drink! I’ve not yet tried this gin but I’ll definitely look out for it! Thanks Elizabeth. Do keep an eye out. Its become a firm favourite of mine! That sounds delicious, I do love an interesting gin. A nice twist on Christmas, and not overly spiced as so many recipes are. How clever! Pine simple syrup! My mind is now whirling thinking of what other uses this would be for! Just a fantastic idea! The possibilities are endless Beth! Definitely give it a go. 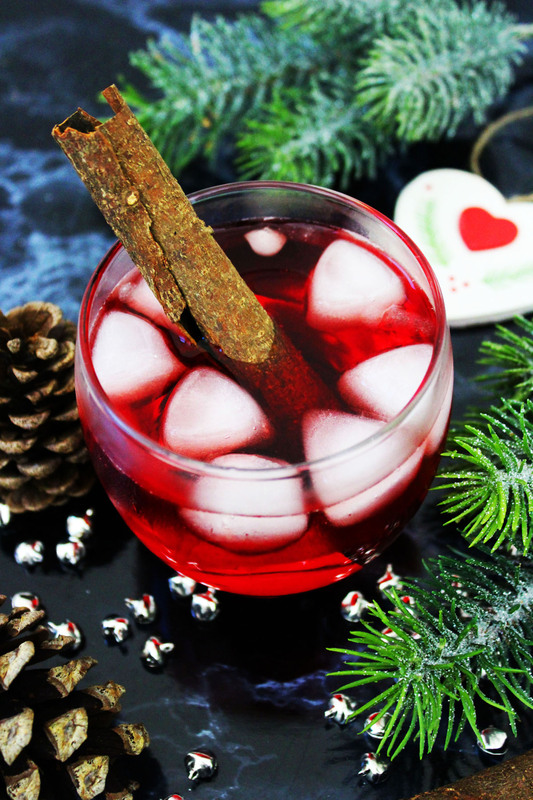 Beautiful holiday drink! Perfect colors and perfect flavors. I LOVE gin! This is right up my alley!! Yippee! I never realized that gin had such woodsy undertones! This pine negroni sounds like the perfect compliment to that gorgeous bottle you showcased! What a festive cocktail. Such a pretty color too. I’m a gin fan so this is a must try. Thanks Julie. The Campari does give it a rather festive colour! I lived in Loughborough for a while, right next to Charnwood Forest. I feel I missed out!